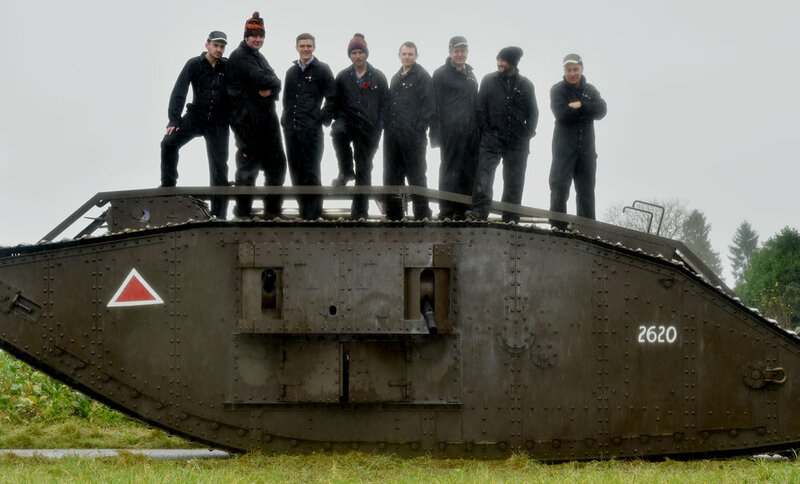 In his most ambitious engineering challenge yet, Guy Martin builds a full working replica of a World War One Tank, to celebrate this groundbreaking British invention created in Lincoln just a few miles from his home and remember those who built and fought in the machine, which helped end the Great War. And Guy wants to celebrate the centenary of the Battle of Cambrai where tanks first proved their effectiveness. With help from British engineering giant JCB and the Norfolk Tank Museum, Guy manages to build a 30 tonne Mark IV tank in just 5 months. He travels to Northern France, to learn what happened at the Battle Cambrai and how that changed warfare forever. In recordings made before they died, Guy hears from the men who served in the original tanks and the women who built them. In an emotional and appropriate finale, Guy takes the finished tank to Cambrai and - on Remembrance Day - drives it across the battlefield stopping at 11am to observe a minute silence and pay his respects to those who gave their lives in World War One.